In the kitchen, a mixer is a simple, yet essential, tool that serves as a baking instrument. But there’s a whole other world of mixers out there beyond what you may find in a kitchen. While you’re likely more familiar with these household mixtures, mixers are also developed on a much grander scale for industrial applications – hence they’re given the name “industrial mixers.” They operate similarly to the types of household mixers that you’re likely more used to using, but they are also much more complicated and intricate when it comes to their applications and uses. What do industrial mixers do? Simply put, industrial mixers do the same types of things that household mixtures do – just with larger volumes of materials. Specifically, industrial mixers are used to either mix or blend materials used to create products for several different industries, including food, chemical, pharmaceutical, plastic and mineral. In this sense, industrial mixers differ from the mixers used in homes in that they’re used to create product for several industries beyond just edible product. As we noted in the opening, there’s a wide world of applications for industrial mixers. What industries are industrial mixers used in? We already mentioned food, chemical, pharmaceutical, plastic and mineral, but there are several more notable industries that are worth noting. These include biotechnology, oil, biofuels, water treatment and paints and coatings. When you think about mixers and blenders, they truly have a role in a great number of industries – and they’re being applied to more and more industries and products as we speak. What types of materials do industrial mixers mix? Industrial mixers are able to blend a variety of solids, gases and liquids, or a combination of each. In terms of solids, they typically blend powders to homogenize bulk materials. Mixing is usually completed in either single-phase or multi-phase formats. Do industrial mixers look like household mixers? To a certain extent, yes. That’s largely because industrial mixers and household mixers both serve the same basic function of either mixing or blending product, so there’s the use of blades and other tooling to get the job done. However, the big way in which industrial mixers differ from household ones is in their size. For instance, while household mixers are generally small enough to fit on a kitchen countertop or be placed into the palm of your hand, industrial mixers range from the small side to the very large side. These smaller mixers are typically used in laboratory environments where as the large, production-sized mixers are used just for that – production – and little to nothing else. Furthermore, some mixer models are available to process just a few pints of product, while others are able to process up to several hundred or several thousand gallons worth of product. Industrial mixers are commonly made from stainless steel or some other type of high-strength, durable metal. How many different types of industrial mixers are there? In particular, let’s focus on the planetary mixer for a moment. These types of mixers work with a variety of round products, such as adhesives, pharmaceuticals, foods, electronics, plastics and pigments. Blades on a planetary mixer rotate on their own axes, and simultaneously on common axis, thereby enabling these types of industrial mixers to complete their tasks in a short period of time. Another type of mixer that we didn’t mention on the list above is the Banbury mixer, which is used to mix compounding rubber and plastics. 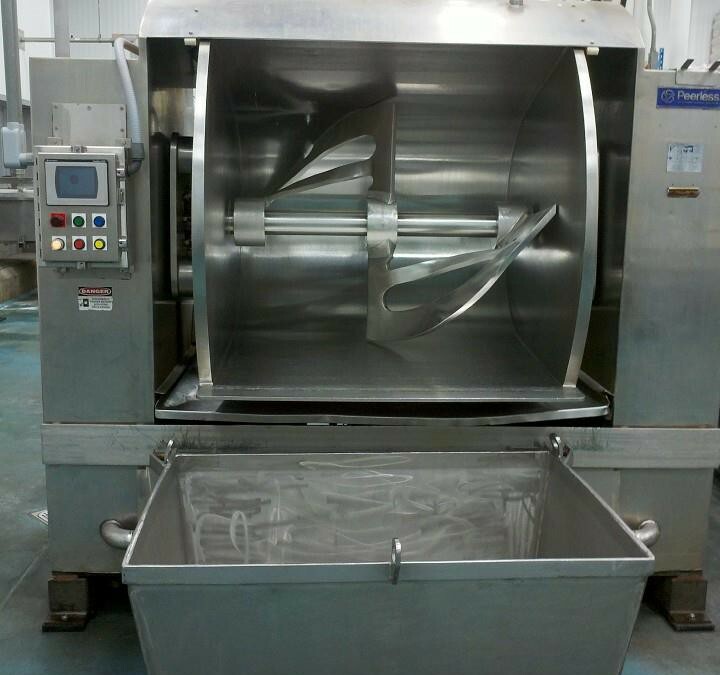 These types of mixers have spiral shaped blades enclosed in cylindrical shaped housings, which helps to reduce labor and costs when blending and mixing product. What types of accessories are industrial mixers/blenders often outfitted with? Because industrial mixers serve so many different industries and help produce so many different end products, it’s only fitting that they’re also commonly outfitted with a variety of add-ons and accessories. For instance, external or internal heating systems are often added to this type of equipment. Spray nozzles, and pneumatic systems and electric systems are also often added to ensure smooth starts and stops in the mixing and blending process. How much do industrial mixers cost? There are a lot of different types of industrial mixers, and these various types often differ in size, complexity and other aspects. On that note, it probably won’t surprise you to learn that industrial mixers vary in price based on their type and size. For instance, this price range can span several hundred dollars to several thousand dollars for an individual unit. While this may not seem like a large sum of money, for startup businesses or companies looking to expand their operations, acquiring these mixers are often a tolerated inconvenience that comes with the job at hand. And for many entities, several thousand dollars might not be in the cards at that point in time. That’s where an outlet like Bid on Equipment can come in handy, as previously owned equipment, like industrial mixers, are purchased and then resold for a fraction of the retail price. It can provide a business with that all-important costs savings when money is tight, yet production is imminent. And quality won’t be sacrificed, as pre-owned mixers are still adequate enough to get the job done and meet worksite expectations. As you can see, industrial mixers play a large role in many different industries and are available in a plethora of shapes, sizes and styles in order to meet any application. For more information on industrial mixers, and to browse the vast selection of mixers and blenders contact Bid on Equipment today. The United States has a long history of manufacturing excellence, from the railroads to the automobile and much, much more. But over the years, companies began outsourcing manufacturing operations overseas, largely due to cheaper labor. And when the “great recession” hit between 2007 and 2009, manufacturing took a big hit in the United States. Factories closed, two of the “big three” domestic automakers filed for bankruptcy protection and many skilled workers were laid off from their positions as output dwindled. Needless to say, but it wasn’t a good time for manufacturing. Years later, manufacturing is coming back in this country – and coming back with a vengeance. Are you planning to be a part of the resurgence? It’s estimated that every single manufacturing job creates about three additional jobs in other sectors. For every $1 of goods that manufacturing produces, an additional $1.48 is generated for the economy. That’s believed to be the highest multiplier of any U.S. economic sector. If you eliminated all other sources of the U.S. economy, just manufacturing alone would be good enough to make it the 10th largest economy in the world. It’s estimated that manufacturing produces $1.8 trillion worth of revenue each year, or roughly 12.2 percent of the U.S.’s total gross domestic product (GDP). Nearly half of all U.S. exports (47 percent, to be exact) are a byproduct of manufacturing. That’s a look at how important manufacturing is to the U.S. economy, but it’s worth noting that jobs in this sector are highly regarded as well. It’s estimated that the average manufacturing worker is paid $77,000 per year. The vast majority of these jobs also include medical benefits and are among the most highly tenured in the entire job market. And as manufacturers reduce outsourcing and offshoring and begin to bring operations back domestically, the number of manufacturing jobs will likely only continue to grow. Today, it’s estimated that there’s some 12 million manufacturing jobs in the United States. It’s a far cry from the estimated 17 million that there were in the early 1990s, but as we’ve mentioned already in this post, that number is increasing and will continue to increase as operations improve and expand. So, we’ll pose the question again – do you want to be a part of the manufacturing resurgence in America? High global demand: It’s simple economics – supply and demand. The economy is improving, and so is the demand for American-made products. When there’s demand, someone has to supply it – and product demand is music to a manufacturer’s ears. No more outsourcing? OK, so outsourcing may still be going on – but it is not like it was in previous years. That’s because it isn’t so much of a cost savings to outsource production to China anymore, as wages have jumped in the Asian nation. That means more companies are moving production back domestically, which is obviously good news for manufacturing in the U.S. Attracting other nations: Not long ago, it was the U.S. outsourcing labor to China and other countries. Now, many foreign countries are actually recognizing the benefits of U.S. labor and outsourcing their operations to the United States. To be a part of this manufacturing resurgence, however, you can’t just open a shop and expect things to take off on their own. In addition to needing the right people to work in your operations, you also need the right equipment to help streamline operations and produce product. The latter isn’t always as easy as it seems. That’s because product development is tough. And when a potential customer or product end user has certain expectations for how a product will perform and what types of things it will do over time, you have to have the knowledge and know-how to take the product from its concept stage to its manufacturing stage. In between, there’s the design stage, engineering stage and prototyping stage of product development. Lower the financial commitment: No, we’re not talking about underpaying your staff or cutting corners when it comes to the quality of your product – we’re talking about saving some money while you get your manufacturing operations kick-started or expanded by investing in previously owned equipment. At credible previously owned equipment outlets such as Bid on Equipment, we have a variety of lathes, CNC machines, rapid prototyping systems, milling machines and turning machines that are like new in every way but the price. Let’s face it, with production equipment ranging upwards into the hundreds of thousands of dollars, starting production or expanding production capability isn’t exactly something that’s simple to do. That’s why buying previously owned equipment can behoove a company in such a position – not only are they saving money when it comes to overhead costs, but they’re also reducing the risk involved in doing so. 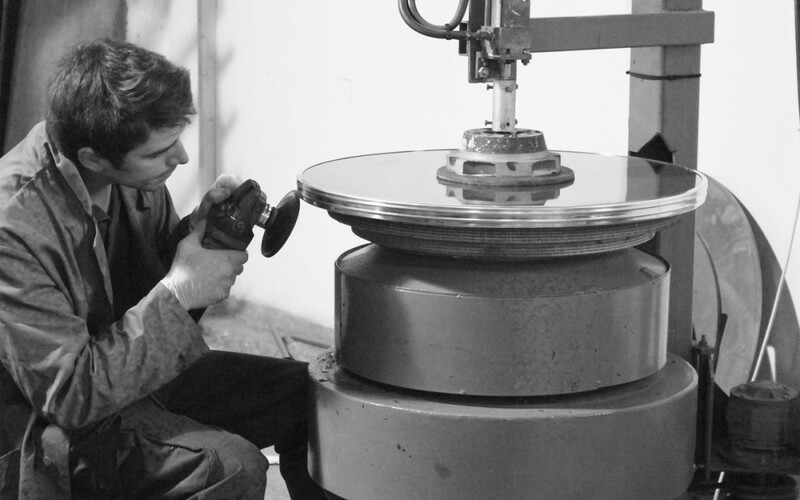 Partner with a broker: A good broker can pay big dividends when it comes to manufacturing. How? By assisting you with the planning and development of your operations versus you going about it blindly and attempting to plan things on your own. To review, a broker is an individual who buys and sells goods, or in this case equipment, for others. Brokers can also arrange or negotiate plans or deals with others. Bottom line – a good broker can be a huge asset to your manufacturing operations by reducing risk and, ideally, saving you money. To be or not to be… a part of the U.S. manufacturing resurgence, that is the question. It’s a booming field right now, which certainly makes it an attractive one. But it’s not an industry that is easily mastered. That’s why it’s important to surround yourself with people who know what they’re doing and equipment that you can rely on, whether you’re expanding your capacity and operations to produce more or you’re starting up manufacturing operations altogether. So are you planning to be a part of the resurgence? Make sure you know what you’re doing, or what you’re getting in to. For more information, and to browse a wide variety of equipment, contact Bid on Equipment today.